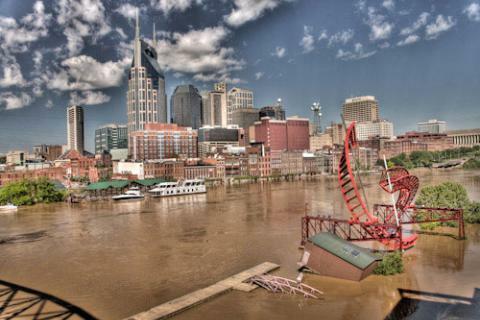 The City Paper is keeping a running list of charitable initiatives to help flood victims. The MusiCares staff wants to remind everyone of their willingness and ability to help those in the music community affected by the recent floods. Call them at 615-327-0050, or toll free at 877-626-2748 or visit www.musicares.com. Eric Brace & Peter Cooper are donating proceeds from their performance tonight (4/4) at The Station Inn to the Community Foundation of Middle Tennessee for flood relief. Set starts at 9 pm, following the Doyle & Debbie show. , and Stephen Simmons. Doors open at 6, show starts at 7 PM. Donations will be accepted at the door for the Community Foundation.